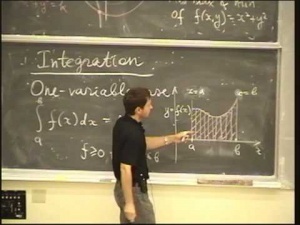 In this course, Prof. Edward Frenkel gives 25 video lectures on Multivariable Calculus. We will study functions in several variables and operations on them, such as integration and partial differentiation. William Vernon Crosby wrote 7 years ago. snkhajuria wrote 8 years ago. Saturn01 wrote 9 years ago.